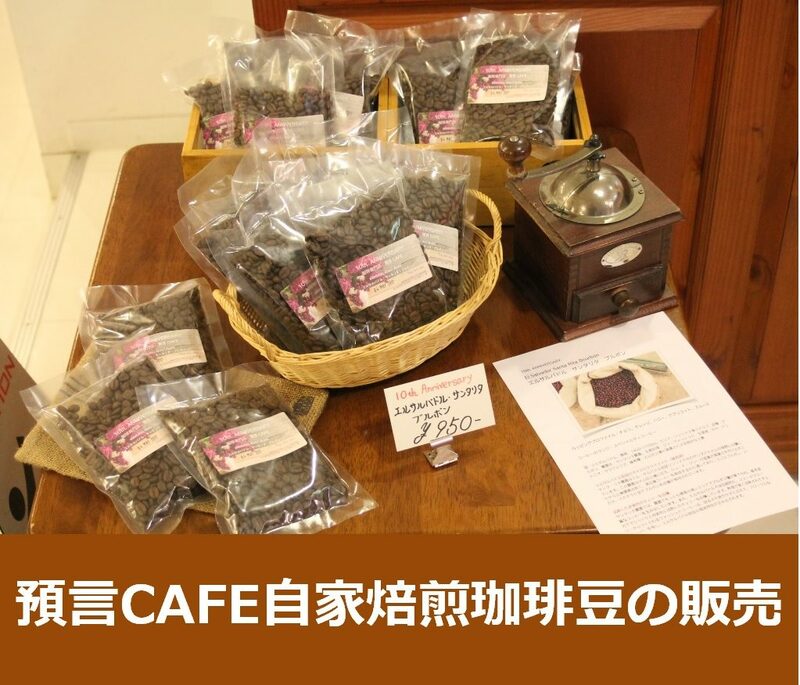 Coffee Shop “YOGEN CAFE” is a cafe run by the Protestant church “Arise Tokyo Christ Church”. 4 What kind of people come? 7 What is the difference between prophecy and fortune-telling? 8 Can I record prophecy? 9 I have no religion. / I have a religion other than Christianity. Can I receive prophecy? Our vision is to deliver God’s plans and messages of love, help, encouragement and comfort not only for Christians but for all people. Also, as a coffee shop we provide high-quality products and services for customers. October 2003: Rented a music studio at Kanda, Tokyo, and established a branch of Apostolic-Prophetic Training Center (headquarters is located in Tochigi Prefecture). Started Tokyo-based ministries on weekends. 2005: Relocated to Suidobashi (Bunkyo-ku, Tokyo) to secure a place for a permanent church. May 2007: Relocated to Soudai Street at Waseda to get more space. Besides church ministries, opened “Coffee Shop YOGEN CAFE”. On the opening day, three customers came to the cafe. May 2010: Relocated to the present location at Takadanobaba. The space became twice as large as the former place. The cafe averages between 150-170 people per day. July 2016: Opened up the second shop at Akasaka. Prophecy is a message and gift from God and is the words of love for each person. God has plans for every person and wants to encourage and help us. Prophecy releases comfort, encouragement, courage and hope for people. Many customers come to YOGEN CAFE every day; both women and men, housewives, business people, students and so on. Their ages and backgrounds are different, but most of the customers are non-Christians. It seems that people visit the cafe by word of mouth, or by getting the information on the Internet or other media. By receiving personal prophecy, many of our customers come to realize that God is watching over our lives and always gives encouragement, comfort, wisdom and hope for us. People are so energized by prophecy. Checking the waiting list, customers may estimate how long they need to wait for a table. The cafe opens at 2pm. People can sign up on the waiting list from 1pm. At Takadanobaba Shop, people can sign up until 6:15pm on Monday/Tuesday/Thursday/Friday and until 7pm on Wednesday. At Akasaka Shop, you can sign up until 7pm on Monday/Tuesday/Wednesday/Friday and until 4:30pm on Thurday. Business hours may change for special events or seminars. Please check the website for the latest schedule. We only charge for drinks. Prophecy is a gift for those who want it, so it is free of charge. What is the difference between prophecy and fortune-telling? Some people may think that prophecy and fortune-telling are alike, but the sources of each are totally different. While prophecy comes from the spirit of God, fortune-telling derives from other spirits. You may trust what fortune-telling tells you when it comes true. It seems to give you hints on what to choose for your everyday life and future. However, even if it looks accurate at the beginning, the power of fortune-telling gradually gets to squeeze your heart. We ask each customer to record prophecy. We do so so that we can be responsible for each prophecy. Recording prophecy can help customers to understand the prophetic words more clearly. We recommend recording onto cell phones, IC recorders, or cassette tapes that customers bring. If you do not have any recording device, you can buy a cassette tape at the cafe or we record prophecy onto an IC recorder and email it to you later. I have no religion. / I have a religion other than Christianity. Can I receive prophecy? Anyone can receive personal prophecy. God’s love, encouragement, and desire are poured upon all people. Prophecy is not only for those who can understand prophecy or are pleased by God. However, people can receive prophecy only when they themselves are willing to do so. No one should force other people to receive prophecy. Only Christians are allowed to prophesy. People should not imitate prophesying because prophesying is the work of the Holy Spirit and faith. As the Bible says, we prophesy not for ourselves but for others. If you want to be able to prophesy, you need to become Christians and get training to understand and activate prophecy. Write out your prophecy. You will receive the words from the Lord Jesus Christ more deeply into your heart. Expect and confirm that situations are ready, not rushing to decide or shift your direction. Prove your prophecy with Biblical principles so you can understand it. Prophecies are always conditional. Receive your prophecy by faith, not interpreting it as your fate. Find the local church and attend services. Sign-up for admission starts 1 hour prior to opening time.